Hello! 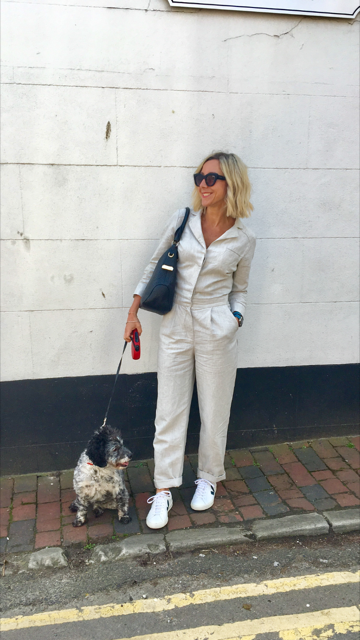 Happy sunny Friday!….My love of jumpsuits grows and grows so I thought I would quickly share a few that I have spotted on the High Street. I have really just looked at more casual jumpsuits. You know my love for trainers and I think we can all appreciate how great it is that there are so many dresses and jumpsuits that can be easily worn with a variety of sneakers! Don’t get me wrong I absolutely love heels and being rather vertically challenged I wear them a lot! It’s just the running about to London and mum duties when I need those comfy sneaks! How I wear mine… I have a few different jumpsuits but here are some that I have photographed! 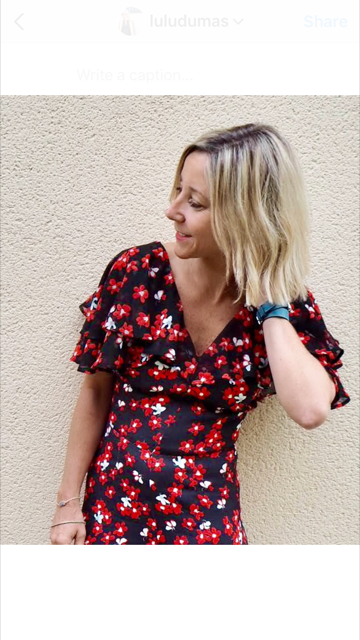 This is an old jumpsuit from H&M I absolutely love it and it is a really flattering style. There are similar around now. 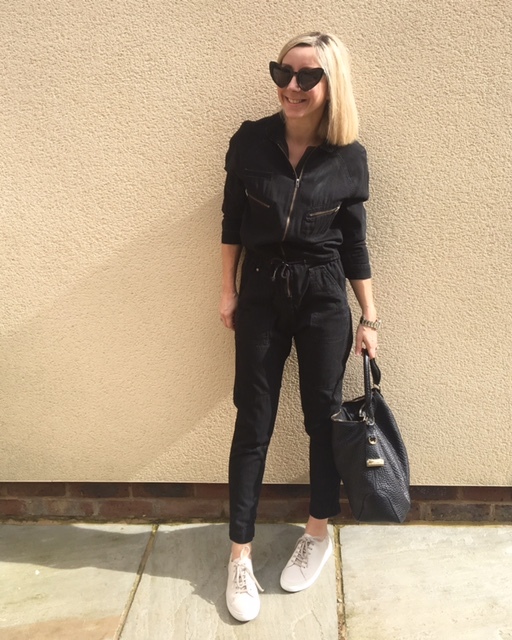 Maybe more of an Anneka Rice (if you are old enough to remember her) boiler suit than a jumpsuit but I love the zip detail and black denim. I have actually dressed this up with heels in the evening too.. I had to include this one! Last year I was kindly sent this amazing jumpsuit. You know one of those items of clothing that instantly makes you look taller and more slim! I love the flared trousers and 70’s vibe! La Redoute casual thin denim style fabric, again great with those sneaks! Black off the shoulder fitted waist jumpsuit. Fabulous with sandals or stilettos! Me and Em. Slightly more higher end price wise but one of my favourite brands. Both are actually matching tops and trousers worn together to look like a jumpsuit. I chose these because of versatility. Each piece is fab worn separately too! More red at Boden. Flared cut trousers and perhaps more for the evening. I would also wear with trainers and a biker during the day too. Always high quality fabric and a gorgeous bright red! 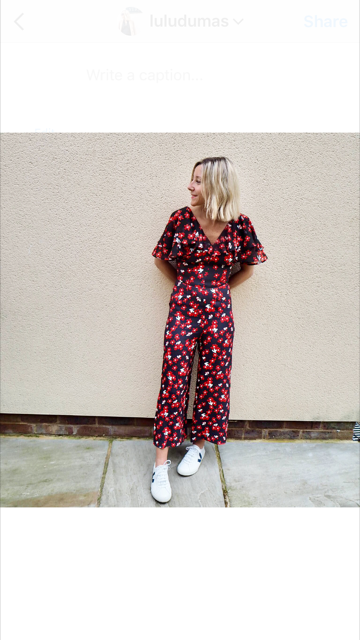 Well I hope this has given you some inspiration to possibly look at a jumpsuit as an addition to your summer wardrobe! Thank you for reading and enjoy that sunshine! Next Post Something to get me back to the gym…….